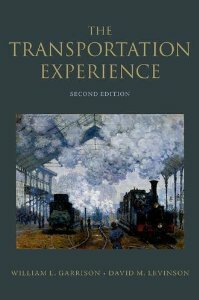 William Garrison and David Levinson assert that the planning (and control) of nonlinear, unstable processes is today’s central transportation problem, and that this is universal and true of all modes. Modes are similar, in that they all have a triad structure of network, vehicles, and operations; but this framework counters conventional wisdom. Most think of each mode as having a unique history and status, and each is regarded as the private playground of experts and agencies holding unique knowledge, operating in isolated silos. However, this book argues that while modes have an appearance of uniqueness, the same patterns repeat: systems policies, structures, and behaviors are a generic design on varying modal cloth. In the end, the illusion of uniqueness proves to be myopic.